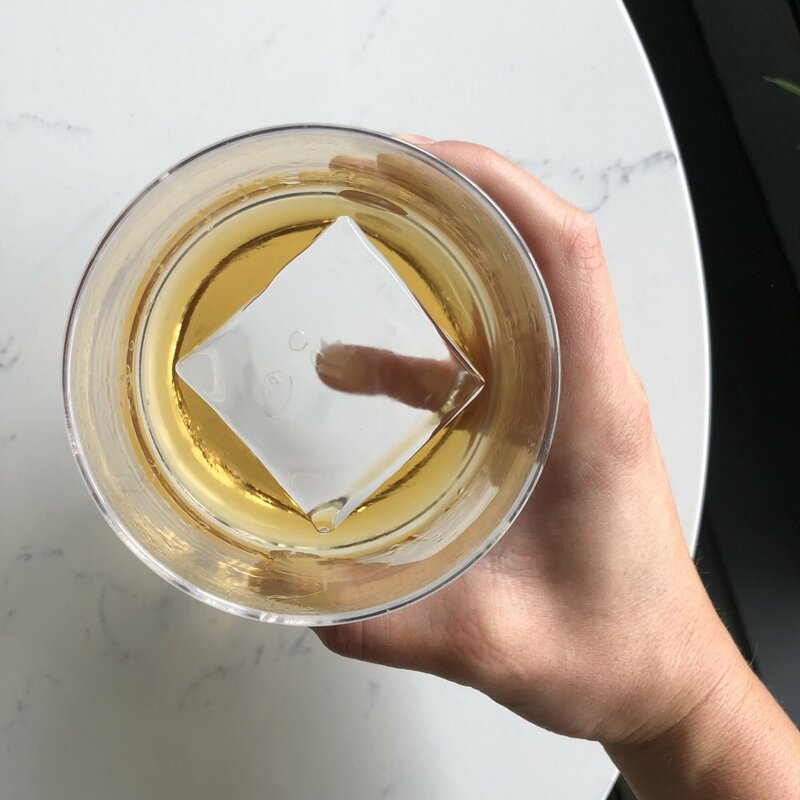 Besides its obvious aesthetic advantages, clear ice performs better in cocktails. It is denser, which equals higher cooling power, it is free from impurities, it melts slower, and it's frigging cool (pun intended). How do we get it to be clear? We make it ourselves. Come in and ask for details.